The second Tuesday of each month, practice managers and healthcare industry service providers gather for the monthly Nashville Medical Group Management Association (NMGMA) meeting at Saint Thomas West Hospital. During the August luncheon, Tony Maffei, a special agent for the Office of the Inspector General (OIG) with the Department of Health and Human Services (HHS), offered insights into the types of healthcare investigations undertaken, case origination, and recent trends in OIG enforcement efforts. 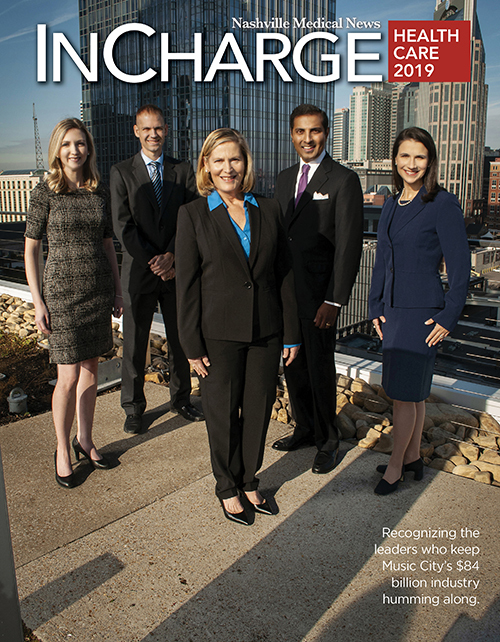 Although Maffei is based in Middle Tennessee, he pursues cases throughout the state and across the nation. He started his talk by noting the OIG, a statutorily created independent entity within the Department of Justice (DOJ), is the watchdog for various federal agencies and divisions. The OIG's job is to detect and deter waste, fraud, abuse and misconduct. Assigned to HHS, which has a $1.2 trillion budget with upwards of 85 percent assigned to Medicare and Medicaid, Maffei said the majority of his job was to protect those dollars from being misused. Before continuing, he noted his comments were based on his 16 years of field experience, rather than being an official OIG statement or policy. With the disclaimer out of the way, Maffei embarked on 'Current Trends in Healthcare Fraud' ... or, as he continued with a laugh, "The alternative title is 'Ways to See Me and My Friends Again,' and you know y'all don't want to see us." Maffei added there is a big difference in making mistakes in billing and coding and actually committing fraud. "You don't just accidentally commit fraud," he pointed out. "Fraud is a matter of criminal intent." While mistakes are often resolved with civil monetary penalties, fraud can result in both criminal and civil actions. Maffei said most cases fall into two categories - billing fraud and relationship fraud. The former includes billing for services not provided or upcoding to unlawfully enhance reimbursement. Relationship fraud ties into abuses of the federal Anti-Kickback Statute and Stark Law. "A common podiatry scheme is to bill for nail avulsions but only provide routine foot care," he said of an example of upcoding. A nail avulsion is the excision of the body of the nail plate from its primary attachment. "A nail avulsion doesn't take a lot of time, but there's going to be a local (anesthetic) and probably wound orders," he explained. A slew of avulsion claims is a red flag for agents. Ascertaining whether or not a provider has been fraudulently billing for the service is often as simple as speaking to patients. "If you get a nail avulsion, you know it," Maffei pointed out wryly. By its nature, relationship fraud involves multiple parties. This past spring, for example, two Tennessee healthcare executives were charged in an indictment for their alleged participation in a $4.6 million Medicare kickback scheme involving durable medical equipment (see Medicare Fraud Strike Force - oig.hhs.gov/fraud/strike-force). 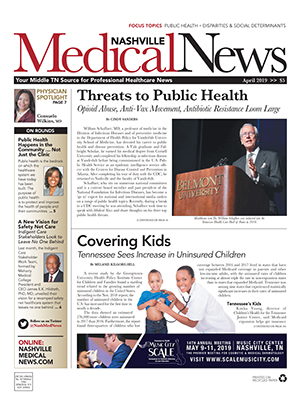 Since those original charges in April, the DME company owner also has been indicted in another alleged kickback scheme involving four healthcare executives in East Tennessee. Fraud cases originate from both within the OIG and from outside sources. "We have a 1-800-Medicare/Medicaid hotline that rings all the time in D.C.," Maffei said. He added that whistleblowers (qui tam cases) account for a lot of the large settlements often covered by news outlets. However, he continued, the OIG also engages in proactive data analysis, which can raise red flags. Pointing to a recent settlement, the integrity auditors identified an aberrant biller of physical therapy services in East Tennessee who used a KX modifier 100 percent of the time. The modifier, which identifies a beneficiary as qualifying for medically necessary services in excess of the cap, has legitimate uses, but it's unlikely that it would apply to every single patient walking through the doors. In fact, the national average of physical therapy services with the KX modifier is about 10 percent. When agents met with the therapist attached to the National Provider Identifier (NPI) on the claims, it turned out she hadn't even worked for the company submitting those bills for two years. The company owner wound up paying in excess of $65,000 to settle the fraudulent claims and could have been charged with identity theft for using the NPI number of a former employee. Maffei said the OIG sees a lot of ambulance fraud settlements as a result of data mining and common sense. "If you're an ambulance company, and you bill for a lot of advanced life support (ALS) or basic life support (BLS) services, you better wind up at a hospital," he said. "How can you go to a house, have the run end at the house, and bill for ALS?" he questioned. This summer, the OIG and enforcement partners at a federal and state level participated in the largest healthcare fraud takedown in history. 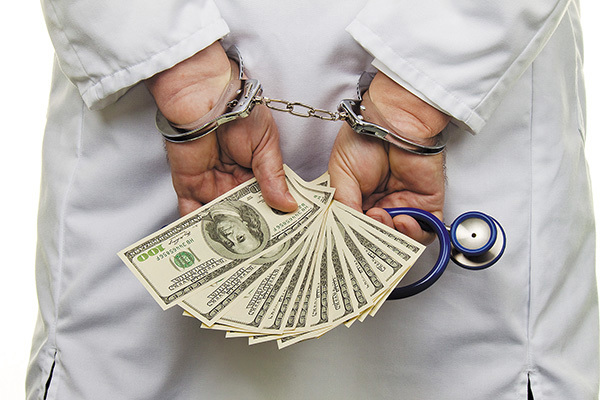 In June, more than 600 defendants in 58 federal districts were charged with participating in fraud schemes totaling about $2 billion in losses to Medicare and Medicaid. Maffei noted they have seen an uptick in urine drug testing and toxicology cases, which he said is partly a byproduct of the opioid epidemic and increase in pain management physicians. In addition to ordering unnecessary tests, agents have seen kickbacks in the form of IT equipment, medical directorships, leases, processing fees, golf clubs and other personal items. "Kickbacks don't have to be an envelope of cash under the table," he noted. The opioid crisis has given rise to a new DOJ Opioid Fraud and Abuse Detection Unit. "The OIG response has been to identify and hold accountable those engaged in fraud ... those prescribing opioids outside the scope of medical practice and without medical purpose. You are a drug dealer," Maffei said unequivocally about those who profit from improper prescribing. A series of high profile, high dollar settlements over the past few years has highlighted the broad temptation to overbill or collude to cheat the federal government. "When you are treating the beneficiary not as a patient but as a revenue means, you can lose focus, I think," said Maffei. When that happens, special agents come knocking. Although many cases never rise to the level of criminal activity, those that do typically wind up with the OIG and DOJ on the winning end. "Our batting average is pretty good ... 95 percent," Maffei said. "If we're going to indict you and press charges, then we've got you."